Lots of people belong to a gym. But having a membership doesn't mean they're showing up. And even if people do pop in, the workout is likely to be boring, not intense enough, or more like mingling than muscle-building. Standing around won't lead to a six-pack. That said, for those who can create their own worthwhile workout, enjoy the gym atmosphere, and, dig the whole "no judgement zone" mentality, then stick with what works. Gear up and hit the gym. As for the rest of the fitness-minded folks who want a better way to work out than what they've already tried, one or more of these gym alternatives are sure to be the workout plan that will take them to the next plateau. As Aaron B. of Aaron B Fitness explains, "The alternative to the conventional gym that is becoming extremely popular, and for good reason, is the boutique group training fitness studio. 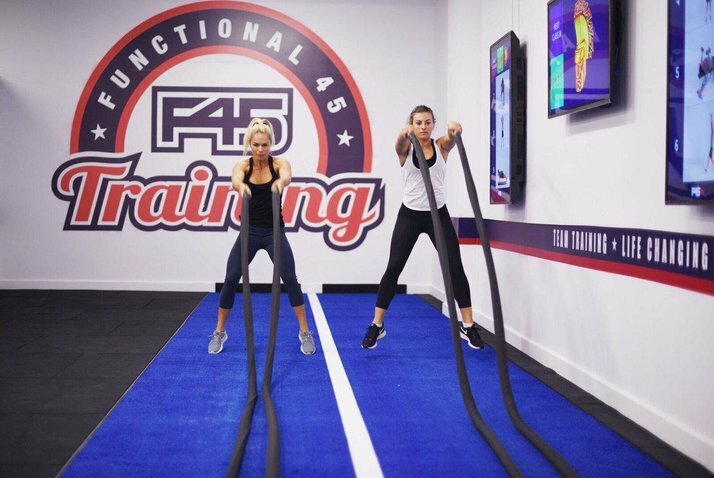 These studios, such as the popular F45 Training studios, offer a high energy environment where groups of 20 or more people train together in an expertly designed 45-minute routine. The participants are coached and supervised by qualified fitness trainers. These studios offer all of the advantages of traditional personal training at conventional gyms, but less expensively and in a much more fun and engaging format. So, people tend to join, stick with it, and achieve their fitness goals." Speaking of F45, let's start there. They bill themselves as the "world's fastest growing functional training network." The Australian-born company is now expanded worldwide, merging "3 separate leading-edge fitness training styles into one consummate and compelling group training experience for its members. F45 Training combines elements of High-Intensity Interval Training (HIIT), Circuit Training, and Functional Training." According to F45, "This combination of interval, cardiovascular and strength training has been proven to be the most effective workout method for burning fat and building lean muscle." No workout is ever repeated, making every session surprisingly stimulating. 45 minutes to a stronger, leaner you sure seems like 45 minutes well-spent. Find a studio near you and get moving. Love to pedal away the pounds? Rather than going to the gym to wait for a broken down bike during the busy hours, cycle your way to svelte with a Peloton. Think of it as your own private studio, trainers and all, in the comfort of your home. No distractions, no excuses. As the company explains, "The Peloton bike brings you the most convenient and immersive indoor cycling experience, streaming daily live classes from our NYC studio directly into your home. You'll have 24-hour access to studio cycling classes available to your entire household." TopDust reviewed the Peloton experience with rave reviews. Check out further details about the bike, why Peloton is a great gym alternative, and more. Bike to build muscles, stamina, and your self-esteem! If you've got the room and the desire to make your space a place to get in shape, set up a home gym and you'll never be bothered by sweaty strangers stealing your StairMaster. No matter your budget or fitness goals, you can set up anything from basic to bodybuilder-level, providing convenience, privacy, and 24/7 access to your equipment. From rubber resistance bands to cardio machines, you can outfit your home gym simply or with style and sophistication. 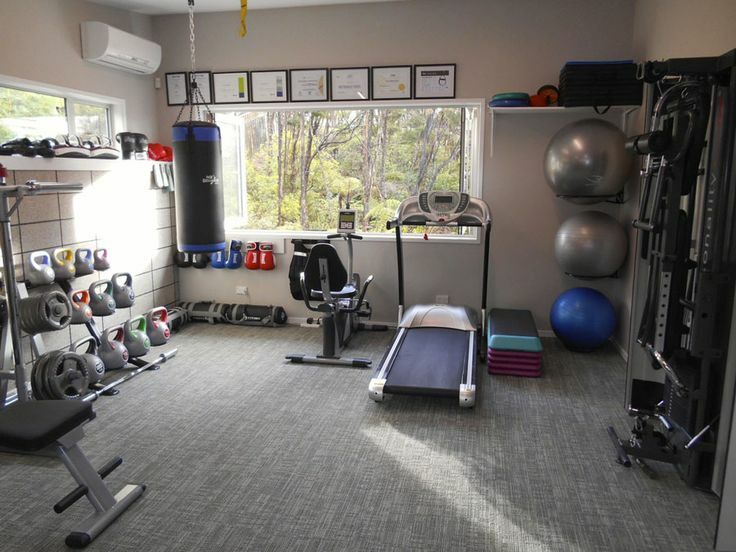 Check out this guide to building a home gym and make your abode even better for your abs! Another popular studio-based selection is the Orangetheory Fitness workout. These high-intensity workouts are heart-rate monitored, designed to keep the heart beating within a "target zone" that makes every step of the process a path to your physical improvement. The one-hour classes are quite intense, but they claim you'll keep burning calories for "up to 36 hours" post-workout. That's the gift that keeps on giving, while during the workout, members burn up to 1,000 calories. The group workout mentality keeps folks accountable for their participation while relying on their peers for encouragement. See if there's an Orangetheory location nearby. Gyms are great if you like the atmosphere. But when it's time for something fresh, get fit in a fresh new way with an alternative that's effective and exciting.